This is a recipe that I got from my Mother In Law. My husband grew up having this soup, and now he has shared it with me so I can bring the tradition down to our children. It's really creamy and a great soup during the cold, frigid, winter days. It's not hard to make at all, nor does it take very long, and it tastes delicious. 1. 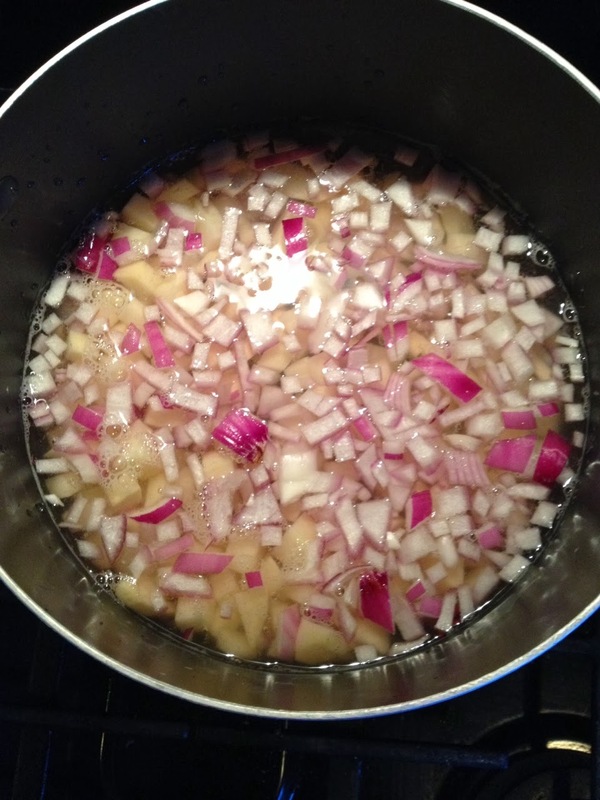 Put chopped potatoes and onion into big pan. Pour in enough water to cover, and bring to a boil, turn down heat and simmer till potatoes are done (about 10 minutes). 2. Add the cream of mushroom, cream of celery and the 2 jars of cheez whiz. Let cook till it's warm, stirring continuously. 4. Serve with oyster crackers and enjoy. My family loves this meal. 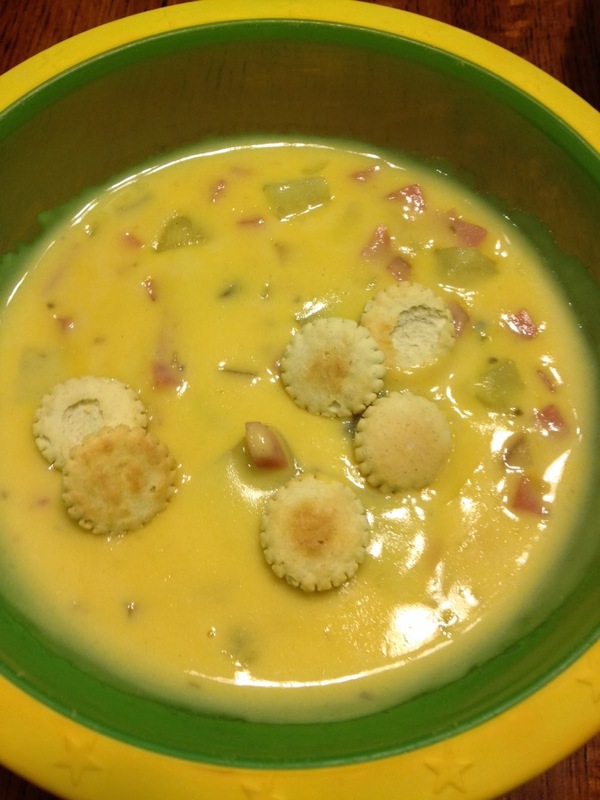 You really can't go wrong with cheese soup when it comes to children. There's usually plenty of leftovers for yummy lunch the next day. This soup is really good reheated. When reheating, you need to cook in intervals. I usually do 45 seconds at a time, stirring in between. We tend to eat this soup a lot after a major holiday. That is because, it tastes even better with ham from a bone-in ham, than diced ham from a package. Either way,though, it's delicious!